Many organizations are planning to implement major projects. The jobs where the demand will be high are anti-money laundering specialists, tax managers, executive assistants and credit controllers. The New Year will see businesses having a competitive benefit as they prepare for the future challenges. To handle this situation finding the right candidate is of greatest importance. The present era is marked by diversification from the oil industry, Digital Transformation, and the VAT to be introduced from January 2018. 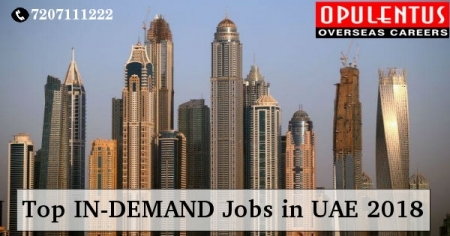 5,000 accounting/finance vacancies will be available within the GCC once this measure is implemented. The qualified and highly experienced candidates will receive the best employment offers. If GCC experience is available it will be valuable. When more companies opt for digital transformation more staff will be required to take up IT roles. The candidates need to have the managerial capability for major projects. They must also have business knowledge and analytical skills. There is a demand for entrepreneurs to set up retail businesses in the digital domain. Several businesses are now focusing on implementing new technology. Moreover, the talent managers are also in demand. Applicants wishing to pursue financial services also have a big demand. There is huge scope for Anti-Money Laundering Specialists, Compliance Officers, and Associates in Mergers and Acquisitions. The Banks are experiencing a transformational shift. They intend to put into practice blockchain projects soon. Economic instability and Cybercrime areas require the presence of top professionals having analytical skills and qualifications for all roles. In the present situation, there is a great demand for professionals to carry out best practices in employee relations, arrange resources, and recruit/place the workers. They are the strength of UAE business, in the situation where rapid change is happening in all areas. All businesses are required now to invest in the training and development of HR. The future promises to be marked by the continuation of a strong job market in the above mentioned as well as other areas. It is an era of championing digitization and promises jobs in varied fields like Financial crimes and sanctions, ACA Qualifications and much more. The job seekers from India can also avail the benefit of this demand in a big way.